This Glitter Mix is a stunning combination of shades of peacock green and copper. This is a raw glitter mix that contains small 0.015 hexes, squares, bars and 0.062 hexes. 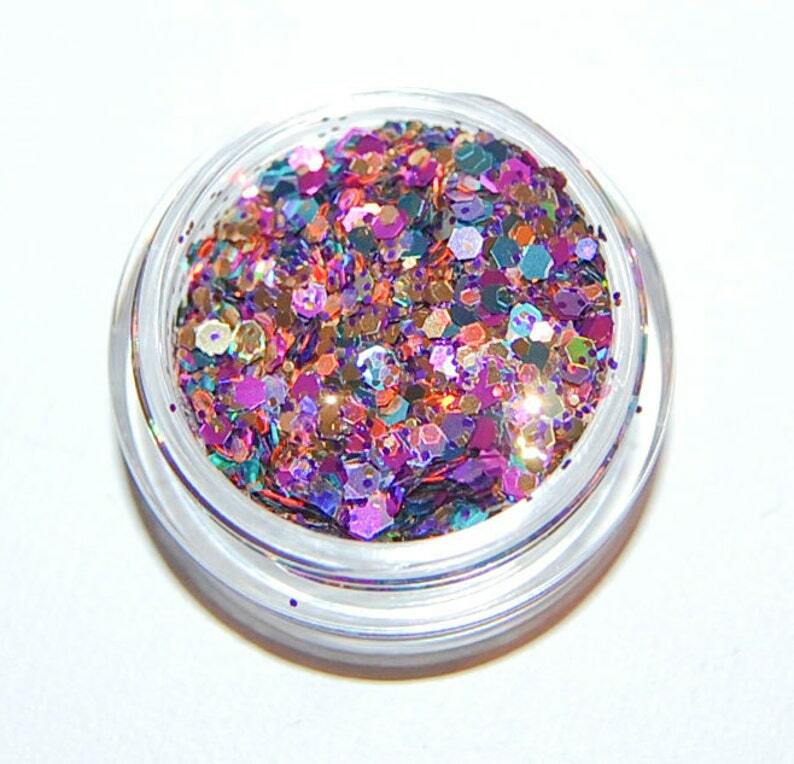 You will receive 5cc's (1 teaspoon) of glitter in a clear acrylic round 5 cc jar with a screw top lid.